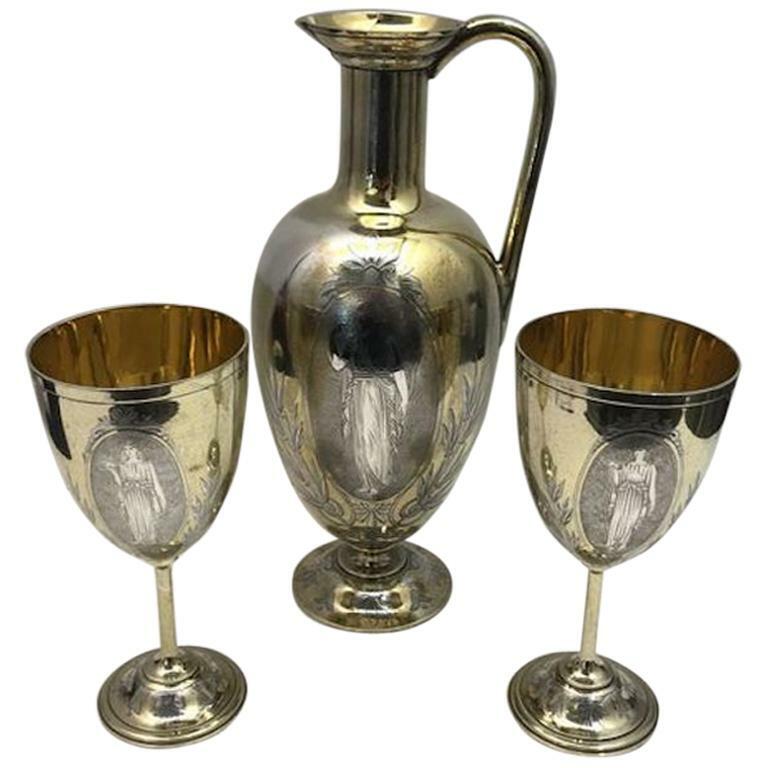 19th century Silver and Gilt Ewer with matching Goblets. 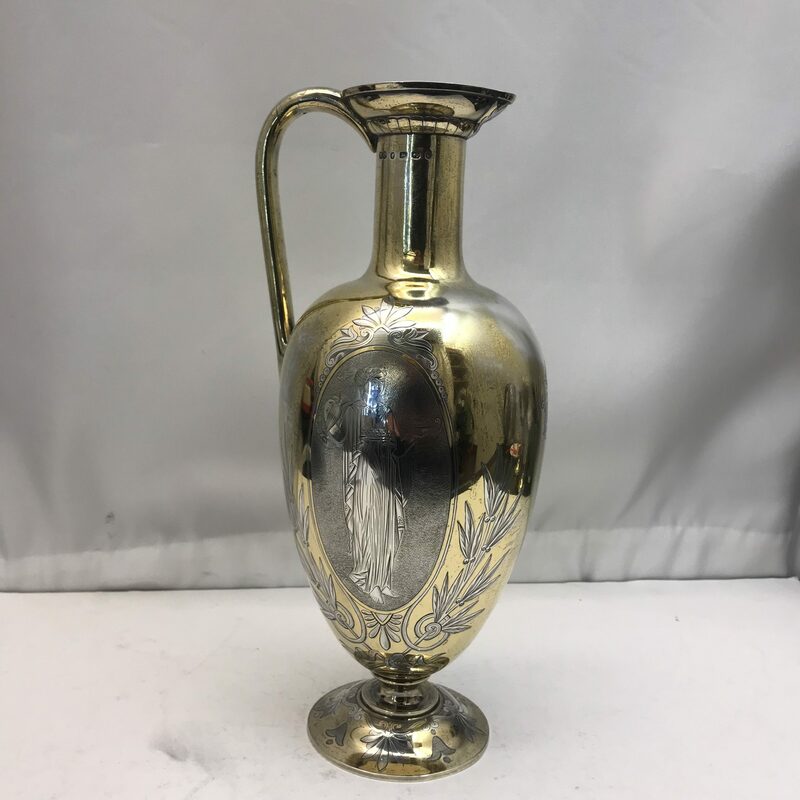 A superb antique sterling silver jug with a shaped vase form on rounded foot. 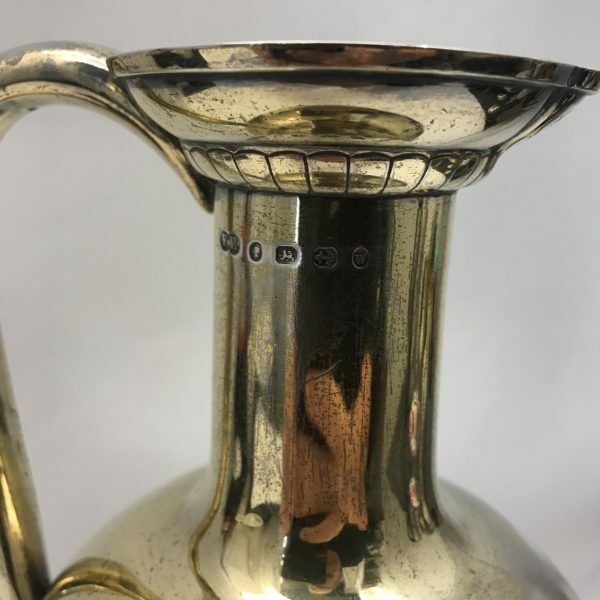 Fantastic quality, just as you’d expect from this well known silver maker Elkington & Co. 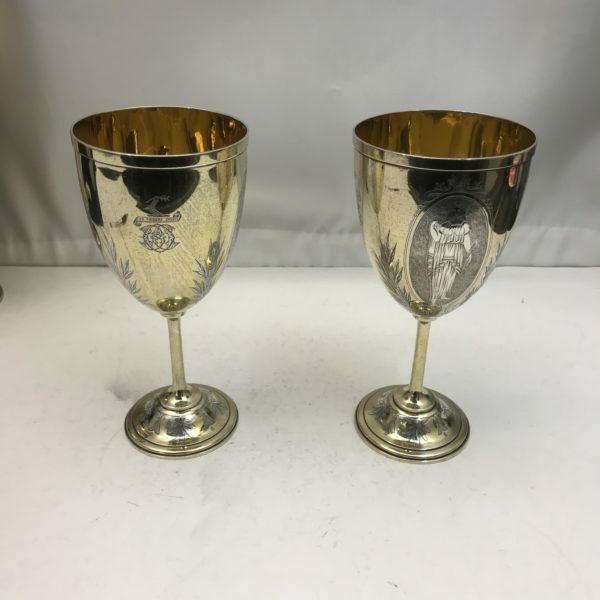 Both the Goblets and Ewer are decorated with figures.